Indulge in the awesomeness that is Veg Masala! 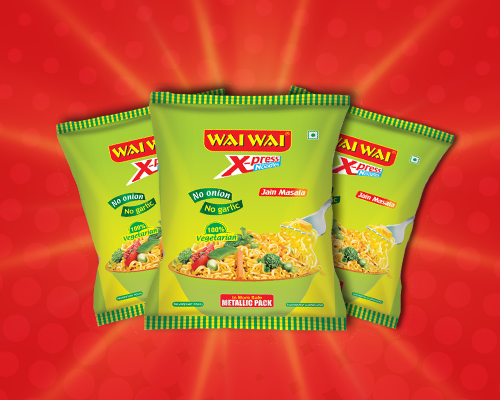 Tickle your taste buds with ‘Taste Enhancers’ that come with every pack! Fall in love with the aroma of spicy chicken with your Wai Wai! It tastes best when served with a double dose of chicken. 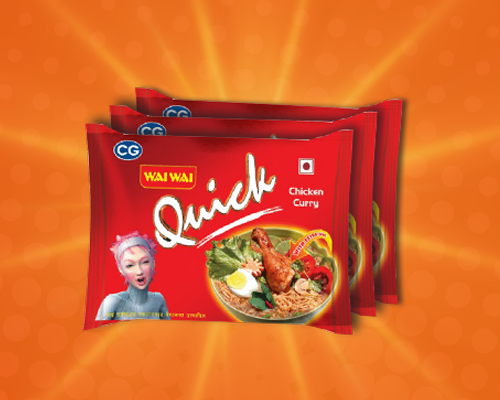 With enhanced flavor of the spiciest blend of ingredients and aroma that will make your belly grumble, Wai Wai spicy curry will fill your belly and satisfy your curry cravings for sure. Lose your way in the spicy and tangy flavor of Masala Delight. A quick and easy munch or lunch with tongue tickling flavors. 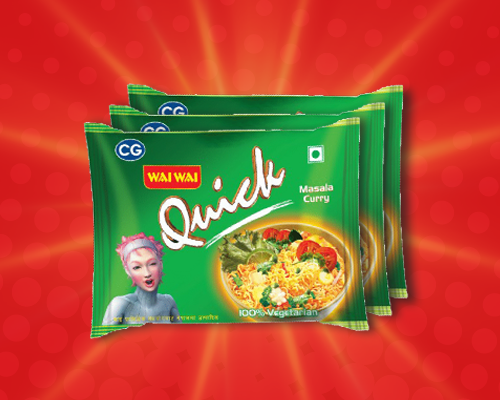 Made out of choicest roasted spices and quality ingredients have your favorite masala noodles without onion and garlic. A fast and healthy way to curb your hunger. 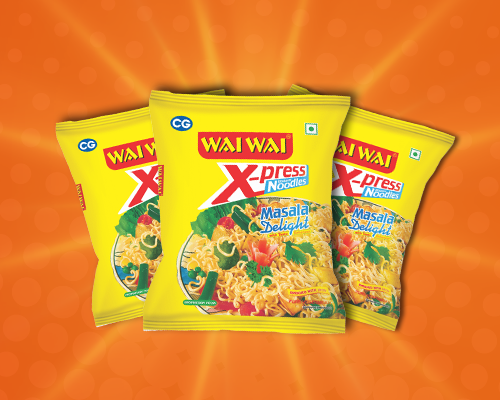 Taste the mouth-watering Chinese Hakka noodles with the goodness of egg. An unbeatable combination of authentic Chinese that is truly a delight. These Hakka veg noodles made with superfine wheat flour and salt are a Healthy and flavorsome blend of authentic Chinese seasonings perfect for a good and tasty meal on the go. A perfect blend of spices to tingle your taste buds that is easy and quick to make. Get the most out of your veggies with delicious masala curry that will warm your belly for sure. Ready in an instant snack with magical masala tastemakers and yummy chicken to go along with it. Lip-smacking peppery taste with delicious chicken to quench you appetite. Think you’ve done it all with your Wai Wai? Well, think again! We’ve got a whole bunch of recipes that you can try out. © Copyright 2019 CG Foods (India) Pvt. Ltd.